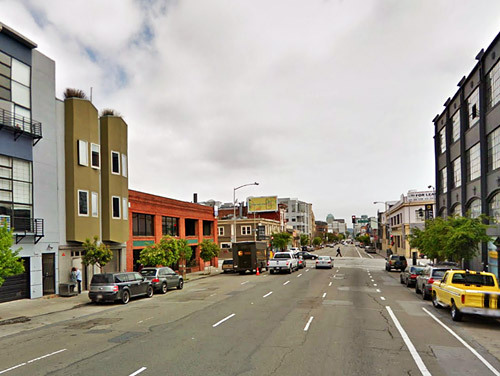 Mixed-use streets such as those in SoMa or Showplace Square serve a variety of low-intensity industrial uses, as well as a growing number of residences, shops, and services. Their use and character are in a state of constant change, and streets must reflect this changing character and serve a variety of needs. Mixed use streets are often wide streets, with high volumes of fast-moving traffic. 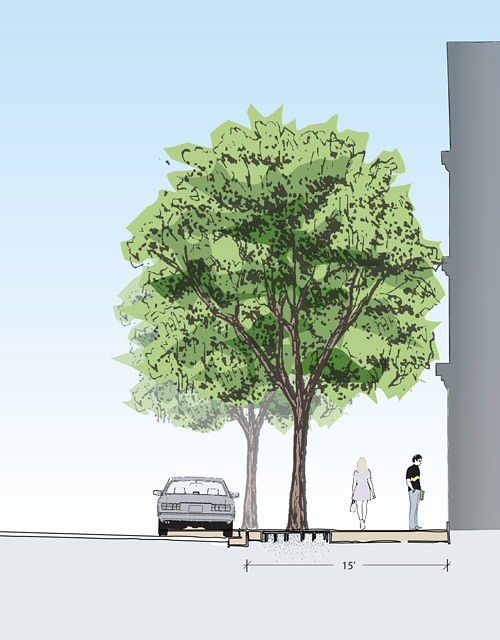 Streetscape treatments should include landscaping, pedestrian safety elements, public space uses, and other amenities to complement current and future land use. 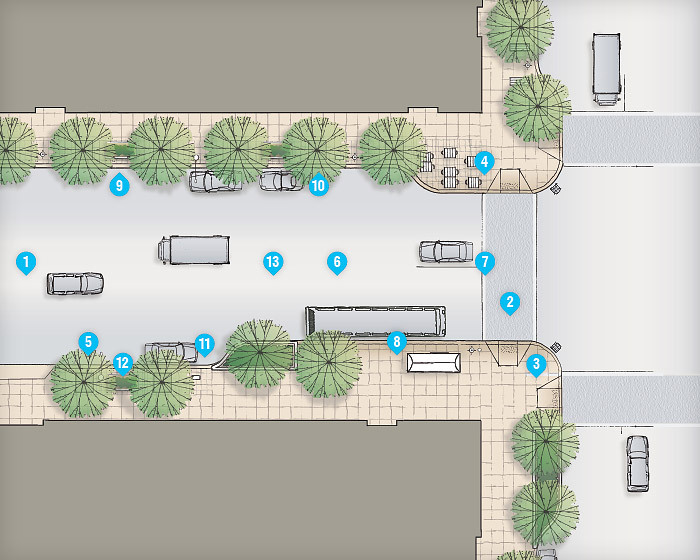 Tree grates, pedestrian lighting, special paving in the furnishings zone and site furnishings should be considered in high pedestrian volume areas, or where capital and maintenance budgets allow. For specific stormwater control measures, see Stormwater Overview. Click for more details about each case by case addition. Numbers correspond with typical plan below.